This article originally appeared in the October 8, 2015 edition of the Tooele Transcript Bulletin. 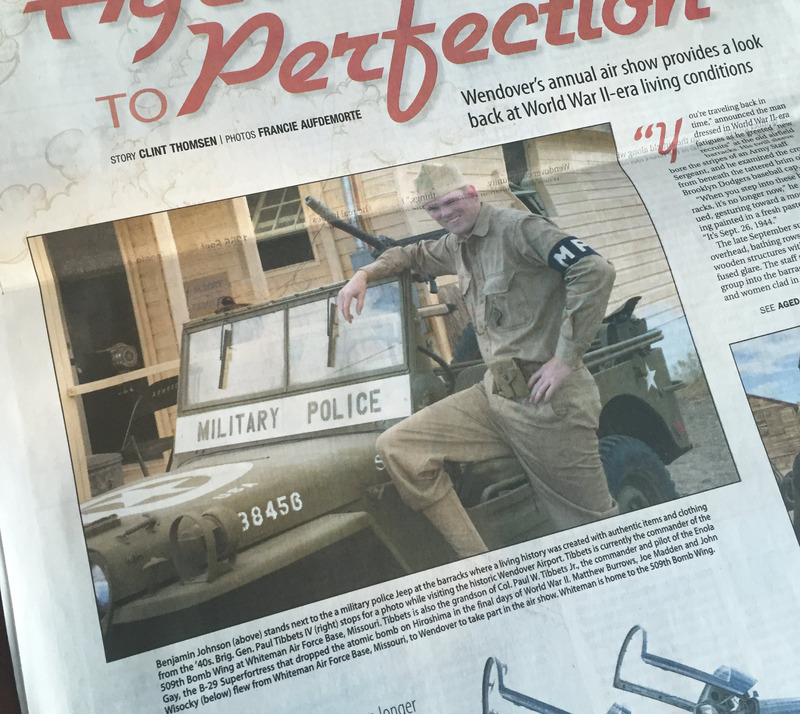 You’re traveling back in time,” announced the man dressed in World War II-era fatigues as he greeted “new recruits” at the old airfield barracks. His twill sleeve bore the stripes of an Army Staff Sergeant, and he examined the crowd from beneath the tattered brim of a Brooklyn Dodgers baseball cap. 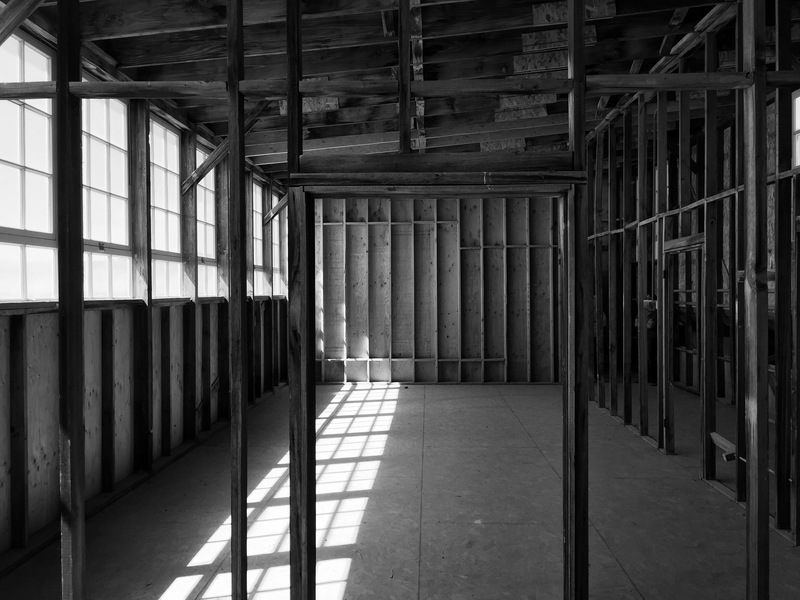 The late September sun hovered overhead, bathing rows of aged wooden structures with an undiffused glare. The staff sergeant led the group into the barracks, where men and women clad in vintage Class B uniforms dealt playing cards and shot the breeze in 1940s lingo. One officer worked a portable switchboard. Others guided families along the rows of cots as an AM “morale” radio broadcast music and period-specific news reports. 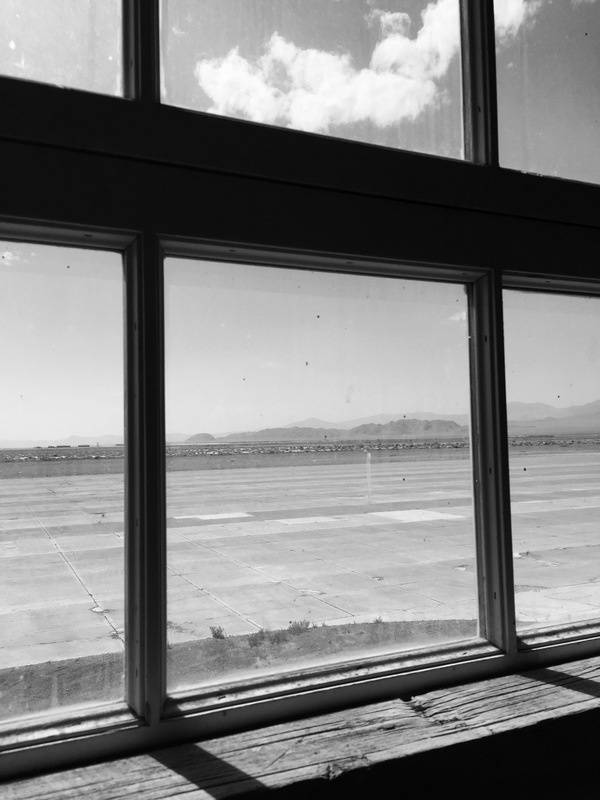 The place was the Wendover Airport. The occasion was the Historic Wendover Airfield Foundation’s annual air show, billed this year as a “fly-in.” The man in the baseball cap was Michael Stuckey of the Arizona Ground Crew, a volunteer organization dedicated to preserving the memory WWII-era aviation ground crews. His companions in the barracks were members of the Utah Military History Group. Both organizations staged living history experiences around the base to help the foundation commemorate the 70th anniversary of the conclusion of World War II. The fly-in also coincided with a reunion of veterans of the 509th Composite Group, the special Army Air Force unit that trained at Wendover to carry out the world’s first atomic mission. In addition to flyovers, the event featured period aircraft displays, educational exhibits of WWII-era relics and guided tours or the airfield. The goal, according to foundation historian Tom Petersen, was to create an immersive experience that communicates the sacrifice of those who trained and served on the base so long ago. Wendover’s specific contributions to the war effort cannot be understated. Constructed in 1940 as a subpost of Salt Lake City’s Fort Douglas, the airbase served as a training range for heavy bomber groups. At its peak population in 1944, some 17,000 soldiers and 2,500 civilians called the airbase home. Although Wendover housed more than 20 bomber groups over the course of the war, it is most famous for the 509th Composite Group and its key role in “Project Silverplate,” the top-secret atomic mission that culminated with the bombings of the Japanese cities of Hiroshima and Nagasaki in August 1945, effectively ending the war. Command of the 509th, with its complement of 15 modified B-29 Superfortress bombers, was entrusted to Colonel Paul Tibbets Jr., a young but experienced airman from Quincy, Illinois. Tibbets chose Wendover as a training point primarily for its location, which was sufficiently isolated from civilization but close enough strategically to other bases involved in the project. With the creation of the 509th in 1944, Wendover’s on-base population was significantly reduced as airbase operations concentrated on training crews to load and drop mock “pumpkin bombs.” A large hangar was built on the eastern end of the flight row to maintain the fleet of B-29s, including the bomber that Tibbets would name after his mother, Enola Gay Tibbets. 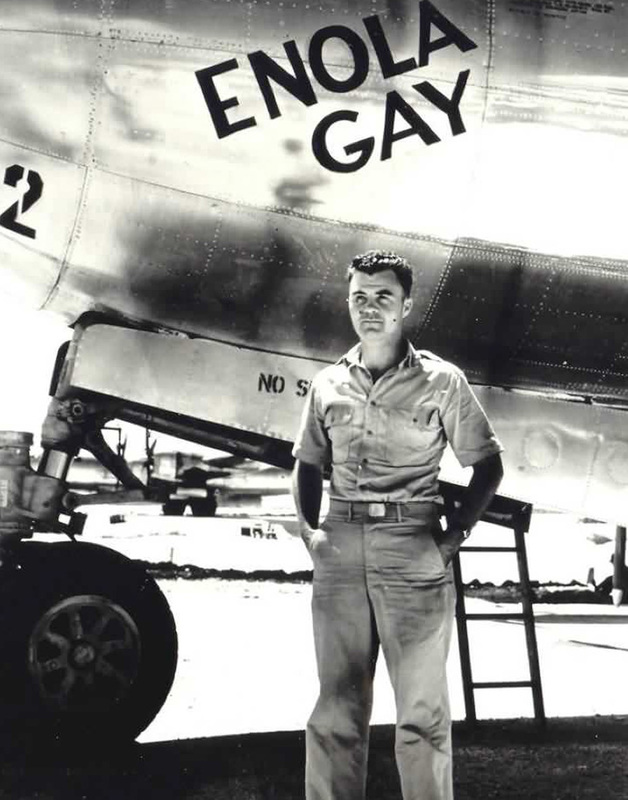 On Aug. 6, 1945, Tibbets and his crew loaded the first of two atomic bombs from a staging base on Tinian Island, then flew the Enola Gay on the Hiroshima mission. 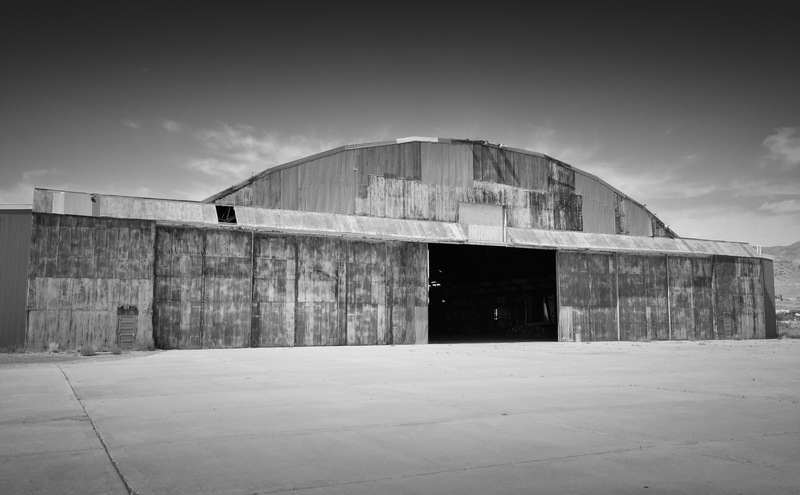 The Enola Gay hangar, as it came to be known, still stands on the airfield along with about 100 of the base’s 668 original buildings. Most are in serious disrepair, the victims of time and scavengers. Tom Petersen’s father, Jim, established the non-profit Historic Wendover Airfield Foundation in 2000 with the goal of preserving the base’s legacy. The foundation has hosted an air show almost annually since 2001. The foundation opened a small museum on site and has worked through the years, as funds have allowed, to protect the aging structures. In 2009 the Enola Gay hangar was placed on the National Trust for Historic Preservation’s “Most Endangered Historic Places List,” and the foundation was awarded a $450,000 grant from the National Park Service’s Save America’s Treasures program to help preserve it. The grant was sufficient to stabilize and partially renovate the legendary building. The foundation recently completed a $1 million restoration of the original Service Club building, thanks to major donations from the Utah State Legislature, various non-profit foundations and private donors. Petersen hopes the building will serve as an events center for the Wendover community. Petersen explained that the foundation’s leadership downscaled this year’s air show in order to focus efforts on restoration work. The restored Service Club building and the partially renovated Enola Gay hangar were the centerpieces of this year’s fly-in. And for the first time in the event’s history, the hangar served as the primary venue. Members of the Utah Military History Group made the rounds outside on period bicycles and motorcycles while crowds watched flyovers from the flight apron. This year’s special guest was Brigadier General Paul Tibbets IV, grandson of Col. Paul Tibbets Jr. and current commander of the Air Force’s 509th Bomb Wing, which traces its historical lineage to the original 509th Composite Group. This was General Tibbets’ first visit to Wendover, and he reflected on its legacy as he toured his grandfather’s office on the upper floor of the Enola Gay hangar. Tibbets chatted with visitors inside the hangar while air show announcer Ray Morris piped wartime music over loudspeakers toward the flight apron. Among the aircraft displayed outside were two P-51 Mustangs, a PV-2 Harpoon and a pair of T-6 Texans. Volunteer tour guides drove visitors along the flight apron to the pit where the 509th trained to load atomic bombs, then finally to the barracks for a brief trip back in time. Stuckey welcomed to each arriving group with a reverent smile and a deliberate tone. He refers to the demonstrations as interpretations rather than reenactments, and makes it clear that they are not there to glorify war, but rather to tell Wendover’s story in a real and thought-provoking way. According to Arizona Ground Crew Leader Bill Gaston, the vintage equipment and décor inside the restored barracks has taken many years to collect. The group studied primary sources such as period literature and technical manuals to achieve meticulous accuracy. Many thanks to Tom Petersen and the Historic Wendover Airfield Foundation, The Utah Military History Group, Arizona Ground Crew and USAF Brig. General Paul Tibbets IV of the 509th Bomb Wing. Brig. Gen. Paul Tibbets IV speaks with a living historian in front of the restored barracks at the Wendover Fly-In on September 26, 2015 (Photo by Clint Thomsen). Historic Wendover Airfield Foundation historian Tom Petersen drives Brig. Gen. Paul Tibbets IV and crew around the barracks area (Photo by Clint Thomsen). Back in time – at the Wendover Fly-In on September 26, 2015 (Photo by Clint Thomsen). 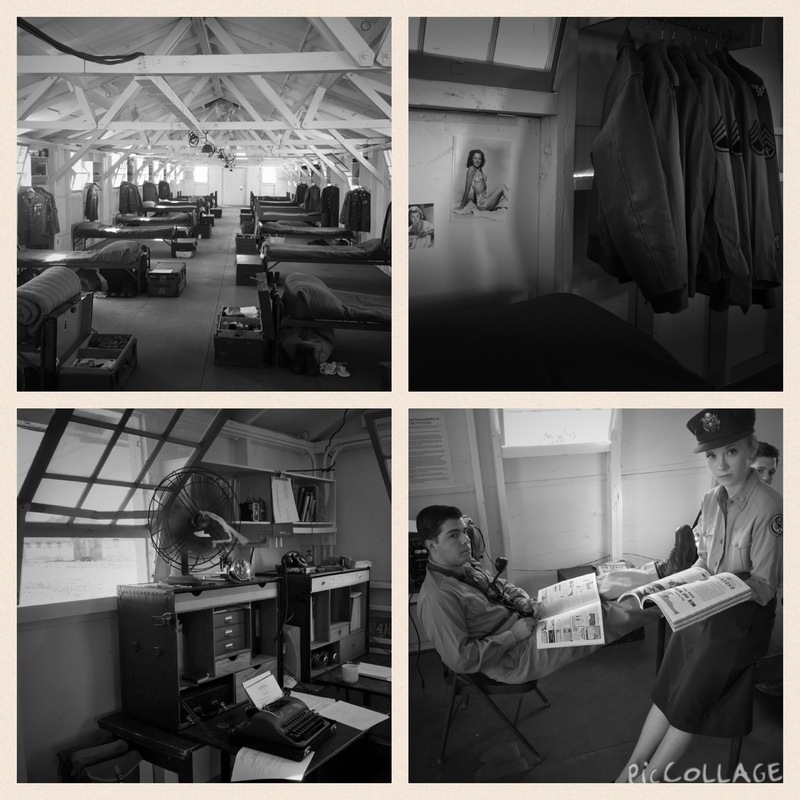 Inside the restored barracks at the Wendover Fly-In on September 26, 2015 (Photo by Clint Thomsen). Living historians inside the restored barracks at the Wendover Fly-In on September 26, 2015 (Photo by Clint Thomsen). Hospital corners at the Wendover Fly-In on September 26, 2015 (Photo by Clint Thomsen). Inside the Enola Gay Hangar, taken a few weeks prior to the event (Photo by Clint Thomsen). Inside the Enola Gay Hangar at the Wendover Fly-In on September 26, 2015 (Photo by Clint Thomsen). C-54 Skymaster at the Wendover Airfield Fly-In, September 26, 2015 (Photo by Clint Thomsen). The boys check out the cockpit of an F-86L Sabre at the Wendover Fly-In on September 26, 2015 (Photo by Clint Thomsen). Boo poses in front of a PV-2 Harpoon at the Wendover Fly-In on September 26, 2015 (Photo by Clint Thomsen). Dill sits at a desk inside one of the yet-to-be-restored barracks at the Wendover Fly-In on September 26, 2015 (Photo by Clint Thomsen). Barracks at the Wendover Fly-In on September 26, 2015 (Photo by Clint Thomsen). Why I’m thinking about space – reason #2: A spaceport in Wendover? Wonderful story, Clint! What a great way to honor all those who served their country by making history at this base. Thanks for posting it!